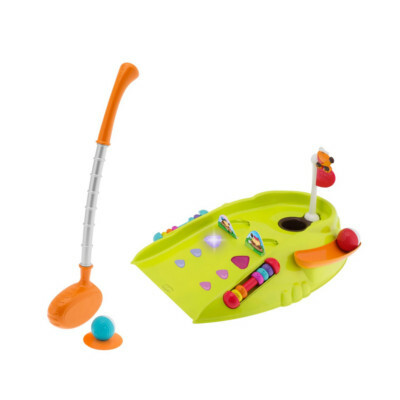 Description: Electronic mini golf game tailor made for a child. 2 electronic game modes training and hit the mole. Have a golf club, 2 gold balls in different colours and a golf tee included.